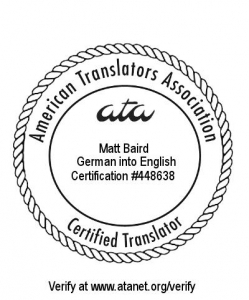 My name is Matt Baird and I’m the Bolder Translator. On this page you’ll learn why. Read my story, my philosophy, how I can add value to your organization, why I’m inspired by a mile-high paradise at the foot of the Rockies, and how I stay balanced to serve you better. I earned a B.A. in German Studies and International Affairs in 1999 from the University of Colorado in beautiful Boulder, Colorado. In the late 90’s and early “aughts” I cut my teeth in the translation business as a translator for a German machine tool manufacturer, translating everything from technical materials to internal communications. In 2003, I set off on my own as a freelance translator. Five years later I seized an opportunity to move to Bonn, Germany, to work in-house for one of the world’s leading logistics companies and hone my skills in the field of corporate communications. I returned to the freelance life I love in 2010 and now, still based near Bonn, I offer my translation, editing and copywriting services to premium market clients both here in the German Rhineland and beyond. For more details, get a copy of my resume here. Compelling copy – Quality is relative. In my business, high quality means a translation that reads like original copy and communications that resonate with your target audience. Collaboration – I work with you, not simply for you. I ask questions. I request feedback. I follow up. All to ensure that the end product conveys the right message. Confidentiality – Communications is a sensitive business. I guarantee that I will not disclose any information to third parties and I am happy to sign a non-disclosure agreement. Consistency – Industry terms? Corporate speak? No problem. I work with you to make sure I speak your language. Connections – Need a publication-ready translation? I regularly team up with a number of highly qualified translators and editors to deliver content that can go straight to the printer. Consultation – Translation is often an overlooked and undervalued step in the publication process. Let me help shed some light on this subject so you can save valuable time and money! … doesn’t just translate words, he communicates your message to your target audience. … works closely with you. He asks questions. He asks for feedback. He’s part of your team. … does his homework. He meticulously researches terminology and taps the proper resources. 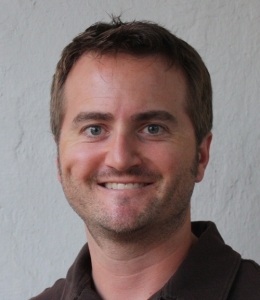 … specializes in areas where he can really add value and chooses his work carefully. … devotes the energy and intensity needed to deliver peak performance every time. … takes pride in, responsibility for and ownership of what he does. I think translators need to reach higher – to climb well beyond the words on the page and create copy that doesn’t read like a translation. Summiting that mountain may require a lot of perseverance, some creativity and a little adventure, but when taken to the top your readers will get a view just as breathtaking as the original. Work to live, don’t live to work! I believe in working hard and playing hard – living and working bolder. I never miss a deadline, but to me a balanced life is critical in order to deliver the energy and creativity my clients expect. My family and my free time keep my batteries fully charged so that I deliver peak performance when I’m at my desk. I work incredibly hard for my clients. They know that I devote a mountain of energy and enthusiasm to their projects, but they also appreciate the balance that keeps my head clear and the creativity flowing. Boulder, Colorado, has a special place in my heart, and it was there that I acquired a taste for bold adventure – carving deep powder turns, bagging 14ers and pedaling the Front Range.